Uupublished plan to throw another £13bn at the NHS’s IT problems? The Health Service Journal yesterday revealed details of NHS IT investment plans that have been costed at about £12.9bn over the next five years. The HSJ’s award-winning technology correspondent Ben Heather says the sums currently involved – which could reduce as proposals are “reined in” – are on a par with the notorious National Programme for IT in the NHS. He says that officials working on the plan have produced an estimate of between £10.9bn and £12.9bn for the cost of supporting proposals across 15 long-term plan “workstreams” ranging from creating personalised care to improving cancer survival. The figures form part of the work of the digital and technology workstream for the long term plan, which is being developed by NHS England and NHS Improvement. The plan is due to be published in late November or early December. The health secretary is known to be a keen advocate of new IT-related investments. It is likely that a sizeable portion of the new £20bn planned for the NHS – which will be financed partly by tax increases that are due to be announced in the budget later this month – will go on NHS technology. But the Health Service Journal suggests the investments will be controlled centrally, which may be a bad sign given that one of the major flaws in the failed £13bn NPfIT was that money was controlled centrally rather than by local groups of doctors and nurses. On the face of it the current investment proposals bear no resemblance to the NHS IT programme NPfIT which was “dismantled” in 2011. The NPfIT comprised a handful of specific major projects that were to be implemented nationally under the umbrella of “ruthless standardisation”. The current proposals look very different. The investments fall into vague categories such as digitalising secondary care, improvements to IT infrastructure, data gathering and analytics. The proposals have all the appearance of a different way the NHS has found to waste vast sums of public money. It has never been acknowledged by the Treasury, NHS England or the Department of Health that the NPfIT wasted billions on spending that was invisible to the public, such as numerous consultants, years of globe-trotting by officials, first-class hotels across the world, sponsored conferences and unreported funds for marketing items that included DVDs and board games designed especially to promote the IT programme. For officials, there’s nothing more exciting than going to work on a £13bn technology programme where money flows more freely than water. It’s no wonder officialdom is lobbying for the money. No doubt it will be easy for officials to obtain the new billions. At any time in the recent history of the NHS it would have been easy on paper to justify £13bn for new NHS technology. Much of the £13bn could be justified simply enough by submitting plans to HM Treasury to modernise what already exists. It was easy to justify the NPfIT. Tony Blair approved it at a Downing Street meeting that lasted 40 minutes. Computer Weekly obtained minutes of the Downing Street meeting after various FOI appeals. But the NHS needs £13bn to be spent wisely on technology. The last thing the NHS needs is for Whitehall officials to be involved. History shows that Whitehall has the reverse Midas touch when it comes to major NHS IT investments. It is local groups of doctors and nurses who know how to spend the money wisely. If either NHS England or the Department of Health and Social Care is involved in the new proposals for NHS IT investments – and they both are – it’s almost certain the new plans will end up as costly failures. How would the public feel if they realised that a sizeable portion of their increased taxes for the NHS is almost certainly destined for the dustbin marked “mismanaged Whitehall IT schemes”. Another NPfIT scandal in the making? A government-commissioned review yesterday backed a Bill that could, if enacted and applied to Whitehall generally, prevent billions of pounds being lost on wasteful projects. The Public Authority Accountability Bill – known informally as the Hillsborough Law – would establish an offence of intentionally or recklessly misleading the public, media or court proceedings. It would also impose a legal requirement on public authorities to act with candour, transparency and frankness when things go wrong. Although the Bill was a reaction, in part, to the cover up by public authorities of their failings in the light of Hillsborough, it could, if enacted, deter public authorities from covering up failings generally – including on major IT programmes. For decades public authorities have had the freedom – unrestricted by any legislation – to cover up failures and issue misleading statements to the public, Parliament and the media. In the IT sphere, early problems with the Universal Credit IT programme were kept secret and misleadingly positive statements issued. The National Audit Office later criticised a “good news” culture on the Universal Credit programme. And still the DWP is fighting to block the disclosure of five project assessment reviews that were carried out on the Universal Credit IT programme between 2012 and 2015. It could be argued that billions of pounds lost on the NPfIT – the National Programme for IT in the NHS – would have been avoided if the Department of Health had been open and candid at the start of the programme about the programme’s impractically ambitious aims, timescales and budgets. The Department for Business, Energy and Industrial Strategy is currently keeping secret its progress reports on the £111bn smart meters rollout – which independent experts have said is a failing programme. The department routinely issues positive statements to the media on the robust state of the programme. The Public Authority Accountability Bill was drafted by lawyers who had been involved with representing bereaved Hillsborough families. It is aimed mainly at government inquiries, court proceedings and investigations into lapses of public services. But it would also enshrine into law a duty on public authorities, public servants, officials and others to act within their powers with “transparency, candour and frankness”. “In 2017 we expect public authorities and individuals acting as public servants to be truthful and act with candour. Unfortunately, repeated examples have shown us that this is not generally the case. Backing for the Bill came yesterday from a 117-page report on the Hillsborough disaster by Bishop James Jones. The government commissioned him to produce a report on the experiences of the Hillsborough families so that their “perspective is not lost”. His report refers to public bodies in general when it points to a “cultural condition” and “mindset” that features an “instinctive prioritisation of the reputation of an organisation over the citizen’s right to expect people to be held to account for their actions”. This, says the report, “represents a barrier to real accountability”. The report urges leaders of “all public bodies” to make a commitment to cultural change by publicly signing a new charter. Place the public interest above its own reputation. Approach forms of scrutiny with candour, in an open, honest and transparent way, making full disclosure of relevant documents, material and facts. Learn from the findings of external scrutiny and from past mistakes. Avoid seeking to defend the indefensible or to dismiss or disparage those who may have suffered where the organisation has fallen short. When falling short, apologise straightforwardly and genuinely. Not knowingly mislead the public or the media. “Police, officials and civil servants should have a duty of revealing the full facts and not merely selecting some truths to reveal but not others. Not lying or not misleading is simply not good enough. Without this, future disasters cannot be averted and appropriate policies and procedures cannot be developed to protect society. “Such selective revealing of information also results in the delay of justice to the point where it cannot be served”. Whitehall departments and the Infrastructure and Projects Authority publish their own narratives on the progress on major IT-enabled projects and programmes such as Universal Credit and smart meters. But their source reports aren’t published. Early disclosure of failings could have prevented hundreds of millions of pounds being lost on FireControl project, BBC’s Digital Media Initiative, the Home Office Raytheon e-borders and C-Nomis national offender management information projects and the Rural Payments Agency’s CAP delivery programme (which, alone, contributed to EU penalties of about £600m). Yesterday’s beautifully-crafted report into the Hillsborough disaster – entitled “The patronising disposition of unaccountable power” – is published on the Gov.uk website. It has nothing to do with IT-enabled projects and programmes. But, in an unintentional way, it sums up a public sector culture that has afflicted nearly every Whitehall IT-based project failure in the last 25 years. A culture of denial is not merely prevalent today; it is pervasive. All Whitehall departments keep quiet about reports on their failings. It is “normal” for departments to issue misleadingly positive statements to the media about progress on their programmes. The statements are not lies. They deploy facts selectively, in a way that covers up failings. That’s the Whitehall culture. That’s what departments are expected to do. According to Bishop Jones’ Hillsborough report, one senior policeman told bereaved families that he was not obliged to reveal the contents of his reports. He could bury them in his garden if he wished. It’s the same with government departments. There is no legal duty to keep programme reports, still less any requirement to publish them. If Bishop Jones’ charter is signed by leaders of public authorities including government departments, and Andy Burnham’s Bill becomes law, the requirement for candour and transparency could mean that IT programme progress reports are made available routinely. If this happened – a big if – senior public officials would have to think twice before risking billions of pounds on a scheme that held out the prospect of being fun to work on but which they knew had little chance of success within the proposed timescales, scope and budget. It’s largely because of in-built secrecy that the impossibly impractical NPfIT was allowed to get underway. Billions of pounds was wasted. Some may say that the last thing ministers and their permanent secretaries will want is the public, media and MPs being able to scrutinise what is really happening on, say, a new customs IT project to handle imports and exports after Brexit. But the anger over the poor behaviour of public authorities after Hillsborough means that the Bill has an outside chance of eventually becoming law. Meanwhile public sector leaders could seriously consider signing Jones’ charter. John Stuart Mill wrote in 1859 (On Liberty and The Subjection of Women) that the “only stimulus which can keep the ability of the [public] body itself up to a high standard is liability to the watchful criticism of equal ability outside the body”. What Google looks for when hiring staff … traits Whitehall’s culture abhors? The contrast between what Google looks for when hiring staff and what Whitehall looks for when making some of its top appointments, could give clues as to why many government IT-based projects and programmes fail. First, the strengths Google looks for. These were set out yesterday on BBC R4 by Laszlo Bock, human resources chief at Google for 10 years. Google was named “Best Company to Work For” more than 30 times around the world and received over 100 awards as a top employer during Bock’s time. In 2010, he was named “Human Resources Executive of the Year”. Under him, Google changed its clunky, arduous recruitment processes that relied on gimmicks like maths puzzles to those that helped the company grow to about 60,000 employees in less than two decades. In 2015 he published his first book, The New York Times bestseller Work Rules!, a practical guide to help people find meaning in work and improve the way they live and lead. He resigned from Google in 2016. “It’s about the importance of people being able to raise their voices in organisations. One of the things that happens is, when organisations get large, people stop raising their voices and really bad things happen as a result. That’s where you get whistleblowing, insider trading, all kinds of things. “Human beings are evolved, biologically, as social, hierarchy-seeking animals. We tend to conform. So courage is important because the really innovative, creative stuff comes from ‘I got this crazy idea’ and the bad problems get flagged by people who are willing to raise their hand and say ‘I don’t think this is a good thing to do’. It’s too easy to generalise about the hiring and appointment of senior civil servants. But it’s possible to understand a little about the hiring culture within Whitehall’s biggest department, the Department for Work and Pensions. 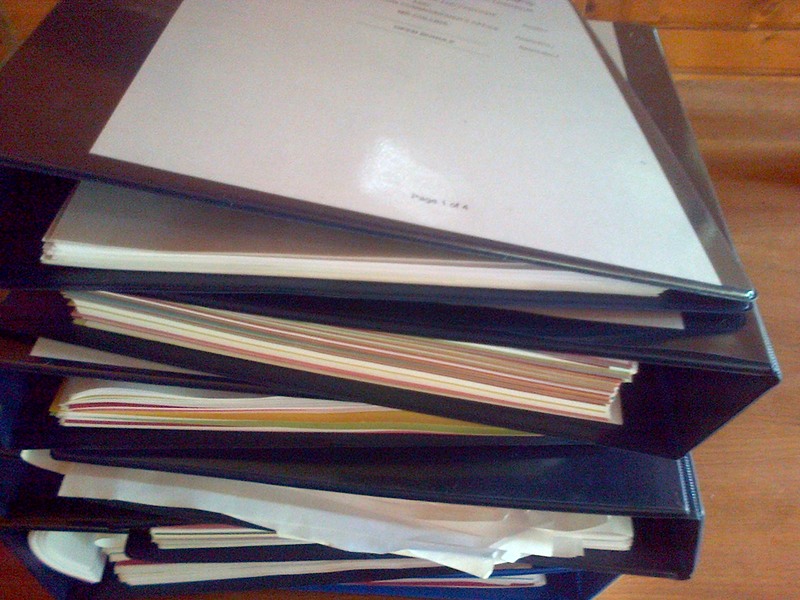 An insight into DWP culture and thinking can be gleaned from the many Lever arch folders of documents filed by the DWP as part of an FOI case in which it spent several years fighting to stop the release of documents about the Universal Credit IT programme. The documents include DWP witness statements on the “harm” that would be caused if the IT documents in question were published. The judge in the case, Chris Ryan, challenged most of the DWP’s arguments. As well as the insight into DWP culture that one can gain from the FOI case, it’s possible to gauge culture and thinking within Whitehall departments from the talented, free-thinking IT individualists who have joined the top layer of the civil service, quit and returned to the private sector. It would be invidious to pick out some names as there are so many. What all this suggests is that Whitehall’s culture appreciates conformity and consensus and shuns boat-rocking. When top IT professionals who joined HMRC and the DWP spoke publicly at conferences about institutional problems that needed to be tackled, mandarins reacted quickly – and such disclosures were never repeated. And after a leak to the Guardian about the results of a DWP staff survey of morale on the Universal Credit IT programme, the department launched a formal leak inquiry headed by a senior member of the security services. At the same time, Universal Credit IT programme documents were no longer emailed but transferred around in taxis. This bout of nervous introspection (the judge described the DWP’s arguments in the FOI case as “defensive”) when taken together with what else we know, indicate that Whitehall’s culture is insular, distrustful and inimical to open challenge and problem-solving (though there are some within the senior Whitehall ranks who successfully defy that culture). When Bock talks of conformity being a danger within large organisations he would not have had the DWP in mind – but he aptly describes its culture. When he speaks about the “importance of people being able to raise their voices in organisations” he was probably unaware of the extent to which Whitehall culture abhors raised voices. As Bock says, when people don’t raise their voices “really bad things happen as a result”. Perhaps the lack of internal challenge was one reason the NHS IT programme – NPfIT – lost billions of pounds, and the DWP’s Universal Credit programme went badly awry for several years. When Bock says the “really innovative, creative stuff comes from ‘I got this crazy idea’, he could have been describing the culture of the Government Digital Service. But that refreshing GDS culture is being slowly choked by the conservatism of traditional Whitehall departments. As Bock says, “the bad problems get flagged by people who are willing to raise their hand and say ‘I don’t think this is a good thing to do’.” But bad problems are things senior civil servants avoid talking about, even internally. A Disneyland”good news” culture pervades central departments. A National Audit Office report on the Universal Credit programme referred to a “fortress mentality” within the DWP. Maybe the consensus-seeking John Manzoni, head of the civil service, and his colleague Sir Jeremy Heywood, Cabinet Secretary, could seek to employ Bock as an adviser on appointments and recruitment. Bock’s brief? To turn around the senior civil service’s culture of conformity, groupthink, denial, selective use of “good news” facts and a lack of open challenge. Recognising the destructiveness within a big organisation of having the wrong culture – as Bock does – could be the start of a genuine Whitehall transformation. Excellent reports on lessons from Universal Credit IT project published today – but who’s listening? The Institute for Government has today published one of the most incisive – and revelatory – reports ever produced on a big government IT project. It concludes that the Universal Credit IT programme may now be in recovery after a disastrous start, but recovery does not mean recovered. Much could yet floor the programme, which is due to be complete in 2022. The Institute’s main report is written by Nick Timmins, a former Financial Times journalist, who has written many articles on failed publicly-funded IT-based projects. His invaluable report, “Universal Credit – from disaster to recovery?” – includes interviews with David Pitchford, a key figure in the Universal Credit programme, and Howard Shiplee who led the Universal Credit project. Timmins also spoke to insiders, including DWP directors, who are not named, and the former secretary of state at the Department for Work and Pensions Iain Duncan Smith and the DWP’s welfare reform minster Lord Freud. Separately the Institute has published a shorter report “Learning the lessons from Universal Credit” which picks out from Timmins’ findings five “critical” lessons for future government projects. This report, too, is clear and jargon-free. Much of the information on the Universal Credit IT programme in the Timmins report is new. It gives insights, for instance, into the positions of Universal Credit’s major suppliers HP, IBM, Accenture. It also unearths what can be seen, in retrospect, to be a series of self-destructive decisions and manoeuvres by the Department for Work and Pensions. But the main lessons in the report – such as an institutional and political inability to face up to or hear bad news – are not new, which raises the question of whether any of the lessons will be heeded by future government leaders – ministers and civil servants – given that Whitehall departments have been making the same mistakes, or similar ones, for decades? Indeed, even as the reports lament a lack of honesty over discussing or even mentioning problems – a “culture of denial” – Lord Freud, the minister in charge of welfare reform, is endorsing FOI refusals to publish the latest risk registers, project assessment reviews and other Universal Credit reports kept by the Department for Work and Pensions. “Drafts of this study were read at various stages by many of the interviewees, and there remained disputes not just about interpretation but also, from some of them, about facts. Timmins and the Institute warn about the “churn” of project leaders, and the need for stable top jobs. But even as the Institute’s reports were being finalised HMRC was losing its much respected chief digital officer Mark Dearnley, who has been in charge of what is arguably the department’s riskiest-ever IT-related programme, to transfer of legacy systems to multiple suppliers as part of the dismantling of the £8bn “Aspire” outourcing venture with Capgemini. Single biggest cause of Universal Credit’s bad start? Insiders told Timmins that the fraught start of Universal Credit might have been avoided if Terry Moran had been left as a “star” senior responsible owner of the programme. But Moran was given two jobs and ended up having a breakdown. According to an insider, “Terry Moran being given the two jobs was against Iain’s instructions. Iain repeatedly asked Robert [Devereux] not to do this and Robert repeatedly gave him assurances that this would be okay” – an account IDS confirms. In September 2012, Moran was to have a breakdown that led to early retirement in March 2013. He recorded later for the mental health charity Time to Talk that “eventually, I took on more and more until the weight of my responsibilities and my ability to discharge them just grew too much for me”. Timmins makes the point that reviews of Universal Credit by the Major Projects Authority failed to convey in clear enough language that the Universal Credit programme was in deep trouble. Iain Duncan Smith told Timmins that the the Major Projects review process “failed me” by not warning early enough of fundamental problems. It was the ‘red team’ report that did that, he says, and its contents made grim reading when it landed at the end of July in 2012. ” In June a member of the team developing the new government’s pan-government website – gov.uk – was invited up to Warrington [base for the Universal Credit IT team] to give a presentation on how it was using an agile approach to do that. On another occasion when the Major Projects Authority visited the IT team at Warrington for the purposes of its review, the review team members decided that “to get to the truth they had to make people not scared to tell the truth”. So the MPA “did a lot of one-on-one interviews, assuring people that what they said would not be attributable. And under nearly every stone was chaos. “People burst into tears, so relieved were they that they could tell someone what was happening. “Among those starting to be worried were the major suppliers – Accenture, HP and IBM. They started writing formal letters to the department. At one point “serious consideration was given to suing the suppliers but they had written their warning letters and it rapidly became clear that that was not an option”. Shiplee commissioned a review from PwC on the work carried out to date and discovered that the major suppliers “were genuinely concerned to have their work done properly, support DWP and recover their reputations”. In addition, when funding had been blocked at the end of 2012, the suppliers “had not simply downed tools but had carried on development work for almost three months” as they ran down the large teams that had been working on it. When alarm bells finally started ringing around Whitehall that Universal Credit was in trouble, IDS found himself under siege. Stephen Brien says IDS was having to battle with the Treasury to keep the funding going for the project. He had to demonstrate that the programme was on time and on budget. “It had all been hampered by this caste system in the department where there is a policy elite, then the operational people, and then the technical people below that. IBM, HP and Accenture built what’s now known as the “live” system which enabled Universal Credit to get underway, and claims to be made in jobcentres. It uses, in part, the traditional “waterfall” approach and has cost hundreds of millions of pounds. In contrast there’s a separate in-house “digital” system that has cost less than £10m and is an “agile” project. A key issue, Shiplee told Timmins, was that the new digital team “would not even discuss the preceding work done by the DWP and its IT suppliers”. The digital team had, he says, “a messiah-like approach that they were going to rebuild everything from scratch”. Rather than write everything off, Shiplee wanted ideally to marry the “front-end” apps that the GDS/DWP team in Victoria Street was developing with the work already done. But “entrenched attitudes” made that impossible. The only sensible solution, he decided, was a “twin-track” approach. “The Cabinet Office remained adamant that the DWP should simply switch to the new digital version – which it had now become clear, by late summer, would take far longer to build than they anticipated – telling the DWP that the problem was that using the original software would mean ‘creating a temporary service, and temporary will become permanent’. “All of which led to the next big decision, which, to date, has been one of the defining ones. In November 2013, a mighty and fraught meeting of ministers and officials was convened. Pretty much everyone was there. The DWP ministers, Francis Maude (Cabinet Office minister), Oliver Letwin who was Cameron’s policy overlord, Sir Jeremy Heywood, the Cabinet Secretary, Sir Bob Kerslake, the head of the home civil service, plus a clutch of DWP officials including Robert Devereux and Howard Shiplee as the senior responsible owner along with Danny Alexander and Treasury representatives. “The decision was whether to give up on the original build, or run a twin-track approach: in other words, to extend the use of the original build that was by now being used in just over a dozen offices – what became dubbed the ‘live’ service – before the new, and hopefully much more effective, digital approach was finished and on stream. “One of those present who favoured the twin-track approach says: There were voices for writing the whole of the original off. But that would have been too much for Robert Devereux [the DWP’s Permanent Secretary] and IDS. “It has, however, seen parts of the culture change that Universal Credit involves being rolled out into DWP offices as more have adopted Universal Credit, even if the IT still requires big workarounds. Francis Maude was among those who objected to the twin-track approach, according to leaked minutes of the project oversight board at around this time. In the end the twin-track approach was agreed by a majority. But the development of the ‘agile’ digital service was immediately hampered by a spat over how quickly staff from the GDS were to be withdrawn from the project. In 2013 the National Audit Office published a report Universal Credit – early progress – that, for the first time, brought details of the problems on the Universal Credit programme into the public domain. Timmins’ report says that IDS and Lord Freud were furious. IDS tried to present the findings of the National Audit Office as purely historical. In November 2014, the NAO reported again on Universal Credit. It once more disclosed something that ministers had not announced – that the timetable had again been put back two years (which raises further questions about why Lord Freud continues to refuse FOI requests that would put into the public domain – and inform MPs – about project problems, risks and delays without waiting for an NAO report to be published)..
“We faced double approvals. We had approval about any contract variation from the Cabinet Office and then approvals for the money separately from the Treasury. “The Government Digital Service got impatient because they wanted to make sure that the department had the ability to build internally rather than going out to Accenture and IBM, who (sic) they hate. So-called optimism bias – over-optimism – is “such a common cause of failure in both public and private projects that it seems quite remarkable that it needs restating. But it does – endlessly”. Timmins says the original Universal Credit white paper – written long before the start of the programme – stated that it would involve “an IT development of moderate scale, which the Department for Work and Pensions and its suppliers are confident of handling within budget and timescale”. “One of the greatest adages I have been taught and have learnt over the years in terms of major projects is that hope is not a management tool. Hoping it is all going to come out all right doesn’t cut it with something of this magnitude. “All organisations should have that ability to be very tough about what is and isn’t working. The people at the top have rose-tinted specs. They always do. It goes with the territory. Timmins makes good arguments for his claim that the Universal Credit programme may be in recovery – but not recovered – and that improvements have been made in governance to allow for decisions to be properly questioned. But there is no evidence the DWP’s “good news” culture has changed. For instance the DWP says that more than 300,000 people are claiming Universal Credit but the figure has not been audited and it’s unclear whether claimants who have come off the benefit and returned to it – perhaps several times – are being double counted. Timmins points out the many uncertainties that cloud the future of the Universal Credit programme – how well the IT will work, whether policy changes will hit the programme, whether enough staff will remain in jobcentres, and whether the DWP will have good relations with local authorities that are key to the delivery of Universal Credit but are under their own stresses and strains with resourcing. There are also concerns about what changes the Scots and Northern Irish may want under their devolved powers, and the risk that any ‘economic shock’ post the referendum pushes up the volume of claimants with which the DWP has to deal. Could Universal Credit fail for non-IT reasons? It is also worth noting that Universal Credit raises the stakes for the DWP in terms of its payment performance, says Timmins. “If a tax credit or a Jobseeker’s Allowance payment or any of the others in the group of six go awry, claimants are rarely left penniless in the sense that other payments – for example, Housing Benefit in the case of Jobseeker’s Allowance or tax credits, – continue. This happened recently in Scotland when an IT failure left hundreds of families penniless. The DWP’s public response was to describe the failure in Scotland as “small-scale”. It is easy to see how much work has gone into it. Timmins has coupled his own knowledge of IT-related failure with a thorough investigation into what has gone wrong and what lessons can be learned. That said it may make no difference. The Institute in its “lessons” report uses phrases such as “government needs to make sure…”. But governments change and new administrations have an abundance – usually a superfluity – of confidence and ambition. They regard learning lessons from the past as putting on brakes or “nay saying”. You have to get with the programme, or quit. There will always be top-level changes within the DWP. Austerity will always be a factor. The culture of denial of bad news, over-optimism about what can be achieved by when and how easily it can be achieved, over-expectations of internal capability, over-expectation of what suppliers can deliver, embarking on a huge project without clearly or fully understanding what it will involve, not listening diligently to potential users and ridiculously short timescales are all well-known lessons. So why do new governments keep repeating them? When Universal Credit’s successor is started in say 2032, the same mistakes will probably be repeated and the Institute for Government, or its successor, will write another similar report on the lessons to be learned. When Campaign4Change commented in 2013 that Universal Credit would probably not be delivered before 2020 at the earliest, it was an isolated voice. At the time, the DWP press office – and its ministers – were saying the project was on budget and “on time”. The National Audit Office has highlighted similar lessons to those in the Timmins report, for example in NAO reports on the NPfIT – the NHS IT programme that was the world’s largest non-military IT scheme until it was dismantled in 2011. It was one of the world’s biggest IT disasters – and none of its lessons was learned on the Universal Credit programme. The NPfIT had an anti-bad news culture. It did not talk enough to end users. It had ludicrous deadlines and ambitions. The politicians in charge kept changing, as did some of programme leaders. There was little if any effective internal or external challenge. By the time it was dismantled the NPfIT had lost billions. What the Institute for Government could ask now is, with the emasculation of the Government Digital Service and the absence of a powerful Francis Maude figure, what will stop government departments including the DWP making exactly the mistakes the IfG identifies on big future IT-enabled programmes? In future somebody needs the power to say that unless there is adequate internal and external challenge this programme must STOP – even if this means contradicting a secretary of state or a permanent secretary who have too much personal and emotional equity in the project to allow it to stop. That “somebody” used to be Francis Maude. Now he has no effective replacement. It’s also worth noting in the Timmins report that everyone seems to be a victim, including the ministers. But who are perpetrators? Timmins tries to identify them. IDS does not come out the report smelling of roses. His passion for success proved a good and bad thing. Whether the direction was forwards or backwards IDS was the fuel that kept Universal Credit going. On the other hand his passion made it impossible for civil servants to give him bad news – though Timmins raises questions about whether officials would have imparted bad news to any secretary of state, given the DWP’s culture. Neither does the DWP’s permanent secretary Robert Devereux emerge particularly well from the report. How it is possible for things to go so badly wrong with there being nobody to blame? The irony is that the only people to have suffered are the genuine innocents – the middle and senior managers who have most contributed to Universal Credit apparent recovery – people like Terry Moran. Perhaps the Timmins report should be required reading among all involved in future major projects. Competence cannot be made mandatory. An understanding of the common mistakes can. Thank you to FOI campaigner Dave Orr for alerting me to the Institute’s Universal Credit reports. Thanks also to IT projects professional John Slater – @AmateurFOI – who has kept me informed of his FOI requests for Universal Credit IT reports that the DWP habitually refuse. In a tweet today John Slater ( @AmateurFOI ) makes the important point that he asked the DWP and MPA whether either had held a “lessons learned” exercise in the light of the “reset” of the Universal Credit IT programme. The answer was no. This perhaps reinforces the impression that the DWP is irredeemably complacent, which is not a good position from which to lead major IT projects in future. Universal Credit – from disaster to recovery? 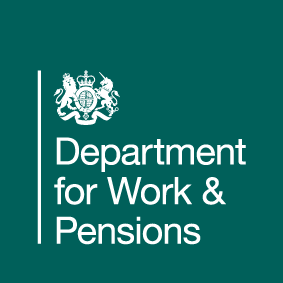 Written evidence the Department for Work and Pensions submitted to an FOI tribunal – but did not want published (ever) – reveals that there was an internal “lack of candour and honesty throughout the [Universal Credit IT] Programme and publicly”. It’s the first authoritative confirmation by the DWP that it has not always been open and honest when dealing with the media on the state of the Universal Credit IT programme. According to the DWP submission, senior officials on the Programme became so concerned about leaks that a former member of the security services was brought in to lead an investigation. DWP staff and managers were the subjects of “detailed interviews”. Employee emails were “reviewed”, as were employee access rights to shared electronic areas. Staff became “paranoid” about accidentally leaving information on a printer. Some of the high-security measures appear still to be in place. Unpublished until now, the DWP’s written legal submission referred, in part, to the effects on employees of leak investigations. The submission was among the DWP’s written evidence to an FOI Tribunal in February 2016. 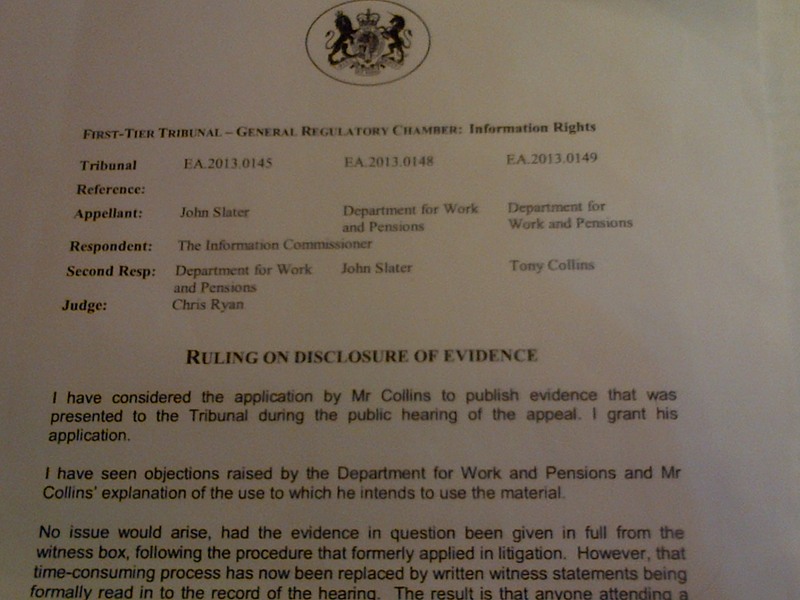 The Government Legal Service argued that the DWP’s written evidence was for the purposes of the tribunal only. It should not be published or passed to an MP. The Legal Service went further: it questioned the right of an FOI Tribunal to decide on whether the submission could be published. 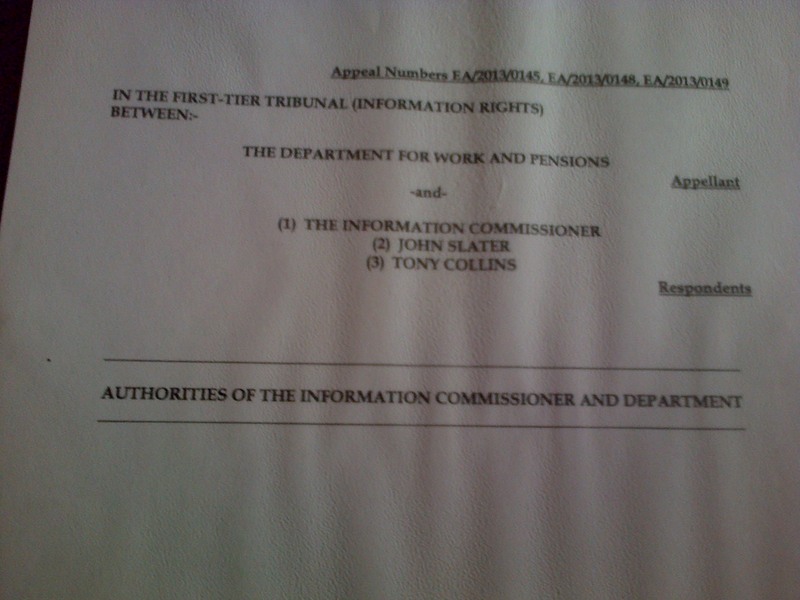 Even so a judge has ruled that the DWP’s written evidence to the tribunal can be published. Excerpts from the submission are here. The DWP’s submission gives a unique glimpse into day-to-day life and corporate sensitivities at or near the top of the Universal credit IT programme. It reveals the lengths to which senior officials were willing to go to stop any authoritative “bad news” on the Universal Credit IT programme leaking out. Media speculation DWP’s senior officials do not seem to mind. What appears to concern them is the disclosure of any credible internal information on how things are progressing on Universal Credit IT. Despite multiple requests from IT suppliers, former government CIOs and MPs, for Whitehall to publish its progress reports on big IT-based change programmes (some examples below), all central departments keep them confidential. That sensitivity has little to do with protecting personal data. It’s likely that reviews of projects are kept confidential largely because they could otherwise expose incompetence, mistakes, poor decisions, risks that are likely to materialise, large sums that have been wasted or, worst of all, a project that should have been cancelled long ago and possibly re-started, but which has been kept going in its original form because nobody wanted to own up to failure. Oblivious to MPs’ requests to publish IT progress reports, the DWP routinely refuses FOI requests to publish IT progress reports, even when they are several years old, even though by then officials and ministers involved will probably have moved on. Individual accountability for failure therefore continues to be non-existent. Knowing this, MPs on two House of Commons select committees, Public Accounts and Work and Pensions, have called for the publication of reports such as “Gateway” reviews. This campaign for more openness on government IT projects has lasted nearly three decades. And still Whitehall never publishes any contemporaneous progress reports on big IT programmes. It took an FOI campaigner and IT projects professional John Slater [@AmateurFOI] three years of legal proceedings to persuade the DWP to release some old reports on the Universal Credit IT programme (a risk register, milestone schedule and issues log). And he had the support of the Information Commissioner’s legal team. When the DWP reluctantly released the 2012 reports in 2016 – and only after an informal request by the then DWP secretary of state Stephen Crabb – pundits were surprised at how prosaic the documents were. Yet we now know, thanks to the DWP’s submission, the lengths to which officials will go to stop such documents leaking out. Some at the DWP are likely to see the submission as explaining some of understandable measures any government department would take to protect sensitive information on its largest project, Universal Credit. The DWP is the government largest department. It runs some of the world’s biggest IT systems. It possesses personal information on nearly everyone in Britain. It has to make the protection of its information a top priority. Others will see the submission as proof that the DWP will do all it can to honour a decades-old Whitehall habit of keeping bad news to itself. It’s generally accepted that success in running big IT-enabled change programmes requires openness – with staff and managers, and with external organisations and agencies. IT-based change schemes are about solving problems. An introspective “good news only” culture may help to explain why the DWP has a poor record of managing big and successful IT-based projects and programmes. The last time officials attempted a major modernisation of benefit systems in the 1990s – called Operational Strategy – the costs rose from £713m to £2.6bn and the intended objective of joining up the IT as part of a “whole person” concept, did not happen. The DWP’s power, mandate and funding come courtesy of the public. So do officials, in return, have the right to keep hidden mistakes and flawed IT strategies that may lead to a poor use – or wastage – of hundreds of millions of pounds, or billions? The DWP’s submission reveals that recommendations from its assurance reports (low-level reports on the state of the IT programme including risks and problems) were not circulated and a register was kept of who had received them. The submission said that surveys on staff morale ceased after concerns about leaks. IT programme papers were no longer sent electronically and were delivered by hand. Those that were sent were “double-enveloped” and any that needed to be retained were “signed back in”. For added security, Universal Credit programme papers were watermarked. When a former member of the security services was brought in to conduct a leaks investigation, staff and mangers were invited by the DWP’s most senior civil servant to “speak to the independent investigator if they had any information”. This suggests that staff were expected to inform on any suspect colleagues. People “stopped sharing comments which could be interpreted as criticism of the [Universal Credit IT] Programme,” said the submission. “People became suspicious of their colleagues – even those they worked closely with. “People felt they could no longer share things with colleagues that might have an honest assessment of difficulties or any negative criticism – many staff believed the official line was, ‘everything is fine’. “People, even now, struggle to trust colleagues with sensitive information and are still fearful that anything that is sent out via email will be misused. Lines to take with the media were added to a “Rolling Brief”, an internal update document, that was circulated to senior leaders of the Universal Credit IT programme, the DWP press office and special advisors. These “lines to take” were a “defensive approach to media requests”. They emphasised the “positive in terms of progress with the Programme without acknowledging the issues identified in the leaked stories”. How the DWP’s legal submission came about is explained in this separate post. Were there leaks of particularly sensitive information? It appears not. The so-called leaks revealed imperfections in the running of the Universal Credit programme; but there was no personal information involved. Officials were concerned about the perceived leak of a Starting Gate Review to the Telegraph (although the DWP had officially lodged the review with the House of Commons library). The DWP also mentioned in its statement a leak to the Guardian of the results of an internal “Pulse” survey of staff morale – although it’s unclear why the survey wasn’t published officially given its apparent absence of sensitive commercial, personal, corporate or governmental information. The greater the openness in external communications, the less likely a natural scepticism of new ways of working will manifest in a distrust of the IT programme as a whole. The NHS’s National Programme for IT (NPfIT) – then the UK’s biggest IT programme costing about £10bn – was dismantled in 2011 after eight fraught years. One reason it was a disaster was the deep distrust of the NPfIT among clinicians, hospital technologists, IT managers, GPs and nurses. They had listened with growing scepticism to Whitehall’s oft-repeated “good news” announcements. When MPs have asked the DWP why it does not publish reports on the progress of IT-enabled projects, it has cited “commercial confidentiality”. But in 2009, Ian Watmore (the former Government CIO) said in answer to a question by Public Account Committee MP Richard Bacon that he’d endorse the publication of Gateway reviews, which are independent assessments of the achievements, inadequacies, risks, progress and challenges on risky IT-based programmes. “I am with you in that I would prefer Gateway reviews to be published because of the experience we had with capability reviews (published reports on a department’s performance). We had the same debate (as with Gateway reviews) and we published them. It caused furore for a few weeks but then it became a normal part of the furniture,” said Watmore. Capability reviews are no longer published. The only “regular” reports of Whitehall progress with big IT programmes are the Infrastructure and Projects Authority’s annual reports. But these do not include Gateway reviews or other reports on IT projects and programmes. The DWP and other departments publish only their own interpretations of project reviews. In the DWP’s latest published summary of progress on the Universal Credit IT programme, dated July 2016, the focus is on good news only. But this creates a mystery. The Infrastructure and Projects Authority gave the Universal Credit programme an “amber” rating in its annual report which was published this month. But neither the DWP nor the Authority has explained why the programme wasn’t rated amber/green or green. 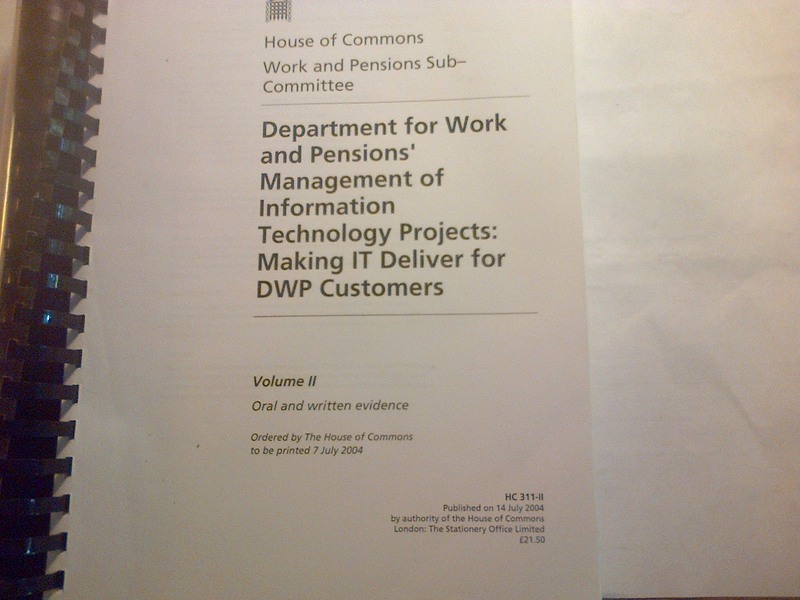 In 2004 HP, the DWP’s main IT supplier, told a Work and Pensions Committee inquiry entitled “Making IT work for DWP customers” in 2004 that “within sensible commercial parameters, transparency should be maintained to the greatest possible extent on highly complex programmes such as those undertaken by the DWP”. The Committee called for Gateway reviews to be published. That was 12 years ago – and it hasn’t happened. 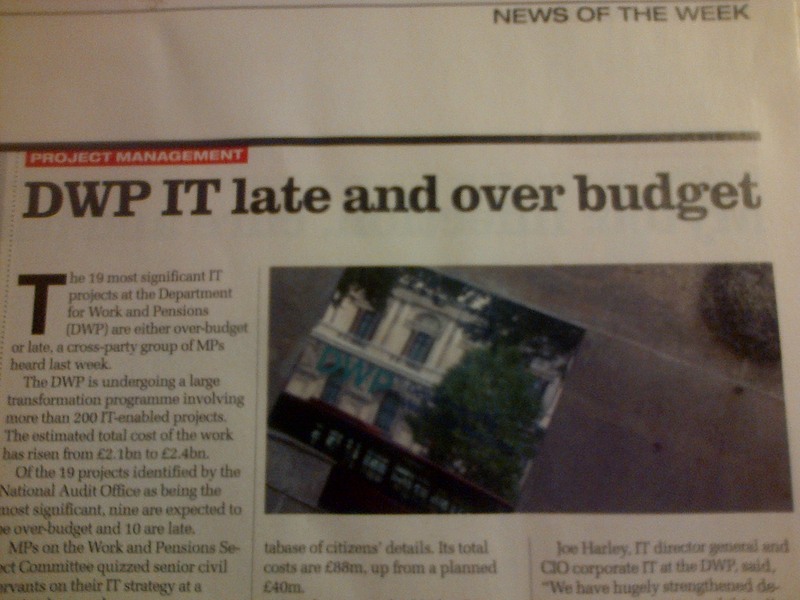 Four years later the Committee found that the 19 most significant DWP IT projects were over-budget or late. In 2006 the National Audit Office reported on Whitehall’s general lack of openness in a report entitled “Delivering successful IT-enabled business change”. But today, DWP officials seem as preoccupied as ever with concealing bad news on their big IT programmes including Universal Credit. 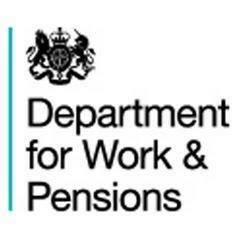 The DWP has had important DWP project successes, notably pension credits, which was listed by the National Audit Office as one of 24 positive case studies. But the DWP has also wasted tens of millions of pounds on failed IT projects. Projects with names such as “Camelot” [Computerisation and Mechanisation of Local Office Tasks] and Assist [Analytical Services Statistical Information System) were cancelled with losses of millions of pounds. More recently the DWP has run into problems on several big projects. As long ago as 1984, the House of Commons Public Accounts Committee called for the civil service to be more open about its progress on major computer projects. Today there are questions about whether the Universal Credit IT will succeed. Hundreds of millions has already been spent. Yet, as mentioned earlier, current information on the progress of the DWP’s IT programmes remains a state secret. It’s possible that progress on the Universal Credit IT programme has been boosted by the irregular (but thorough) scrutiny by the National Audit Office. That said, as soon as NAO reports on Universal Credit are published, ministers and senior officials who have seen copies in advance routinely dismiss any criticisms as retrospective and out-of-date. Does it matter if the DWP is paranoid about leaks? A paper published in 2009 looks at how damaging it can be for good government when bureaucracies lack internal challenge and seek to impose on officials a “good news” agenda, where criticism is effectively prohibited. Non-democratic regimes fear a free ﬂow of information because it could threaten political survival. In Russia there was consideration of partial media freedom to give incentives to bureaucrats who would otherwise have no challenge, and no reason to serve the state well, or avoid mistakes. 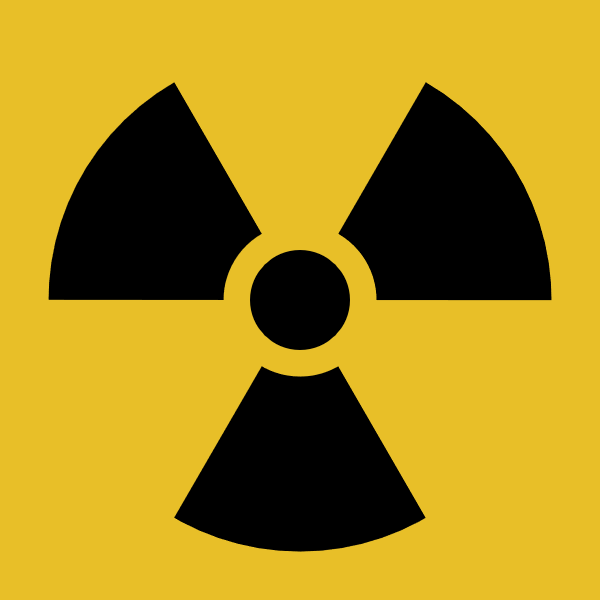 The Chernobyl nuclear disaster, which occurred on April 26, 1986, was not acknowledged by Soviet oﬃcials for two days, and only then after news had spread across the Western media. The paper argued that a lack of criticism could keep a less democratic government in power. But it can lead to a complacency and incompetence in implementing policy that even a censored media cannot succeed in hiding. A lack of reliable information on the state of the Universal Credit IT programme prompted the then secretary of state Iain Duncan Smith to set up his own “red team” review. One wonders whether DWP civil servants kept Duncan Smith in the dark because they themselves had not been fully informed about what was going on, or because they thought the minister was best protected from knowing what was going on, deniability being one key Whitehall objective. But in the absence of reliable internal information a political leader can lose touch completely, said the paper on press freedom. Many times, after the IT media has published articles on big government IT-based project failures, TV and radio journalists have asked to what extent the secretary of state was responsible and why he hadn’t acted to stop millions of pounds being wasted. But why do broadcast journalists assume ministers control their departments? It is usually more likely that ministers know little about the real risks of failure until it is too late to act decisively. Lord Bach, a minister at DEFRA, told a House of Commons inquiry in 2007 into the failure of the IT-based Single Payment Scheme that he was aware of the risks but still officials told him that systems would work as planned and farmers would receive payments on time. They didn’t. Chaos ensued. Even the impressive Stephen Crabb – who has now quit as DWP secretary of state – didn’t stand much of chance of challenging his officials. The department’s contracts, IT and other affairs, are so complex and complicated – there are bookcases full of rules and regulations on welfare benefits – that any new ministers soon find themselves overwhelmed with information and complexity. They will soon realise they are wholly dependent on their officials; and it is the officials who decide what to tell the minister about internal mistakes and bad decisions. Civil servants would argue that ministers cannot be told everything or they would be swamped. But the paper on press freedom said that in order to induce high eﬀort within a bureacucracy, the leader needs “veriﬁable information on the bureaucrats’ performance”. The paper made a fascinating argument that the more complacent the bureaucracy, the more aggressively it would control information. Some oil-rich countries, said the paper, have less media freedom than those with scarcer resources. In an apparent opening up of information, the government in China passed a law along the lines of the U.S. Freedom of Information Act (“China Sets Out to Cut Secrecy, but Laws Leave Big Loopholes,” New York Times, Apr. 25, 2007). But was this law self-serving? It, and the launch of local elections, provided the central government with relatively reliable information on the performance of provincial bosses. These stories from less democratic countries may be relevant in Britain because politicians here, including secretaries of state, seem to be the last to know when a big IT-based programme is becoming a disaster. Whtehall’s preoccupation with “good news only” goes well beyond the DWP. T auditors Arthur D Little, in a forensic analysis of the delays, cost over-runs and problems on the development of a huge air traffic control IT project for National Air Traffic Services, whose parent was then the Civil Aviation Authority, which was part of the Department for Transport, referred to an “unwillingness to face up to and discuss bad news”. Ministers helpless to force openness on unwilling officials? Francis Maude came to the Cabinet Office with a reforming zeal and a sophisticated agenda for forcing through more openness, but the effects of his efforts began to evaporate as soon as he left office. Even when he was at the height of his power and influence, he was unable to persuade civil servants to publish Gateway reviews, although he’d said when in opposition that he intended to publish them. His negotiations ended with central departments agreeing to publish only the “traffic light” status of big projects – but only after a minimum delay of at least six months. In practice the delay is usually a year or more. Brexit campaigners argue that the EC is undemocratic, that decisions are taken in Brussels in secret by unelected bureaucrats. But the EC is at least subject to the scrutiny, sometimes the competing scrutiny, of 29 countries. Arguably Whitehall’s departments are also run by unelected bureaucrats who are not subject to any effective scrutiny other than inspections from time to time of the National Audit Office. Yes Minister parodied Sir Humphrey’s firm grip on what the public should and should not be told. Usually his recommendation was that the information should be misleadingly reassuring. This was close enough to reality to be funny. And yet close enough to reality to be serious as well. It revealed a fundamental flaw in democracy. Nowhere is that flaw more clearly highlighted than in the DWP’s legal submission. Is it any surprise that the DWP did not want the submission published? If officials had the choice, would they publish any information that they did not control on any of their IT projects and programmes? That’s where the indispensable work of the National Audit Office comes into the picture – but it alone, even with the help of the Public Accounts Committee, cannot plug the gaping hole in democracy that the DWP’s submission exposes. Press freedom and the free flow of information cannot be controlled in a liberal democracy. But does Whitehall have its own subtle – and not so subtle – ways and means? In light of the DWP’s track record, the public and the media are entitled to distrust whatever ministers and officials say publicly about their own performance on IT-related programmes, including Universal Credit. More worryingly, would the DWP’s hierarchy care a jot if the media and public didn’t believe what the department said publicly about progress on big projects such as Universal Credit? Is the DWP’s unofficial motto: Better to tell a beautiful lie than an ugly truth? AL Kennedy mentioned the “botched” Universal Credit programme when she gave a “point of view” on Radio 4 last week. Not referring specifically to Universal Credit she said facts can be massaged but nature can’t be fooled. A girder that won’t hold someone’s weight is likely to fail however many PR-dominated assurance reports have gone before. “Facts are uncompromising and occasionally grim. I wish they weren’t. Avoiding them puts us all at increased risk,” she said. NHS “Wachter” digital review is delayed – but does it matter? The Wachter review of NHS technology was due to be published in June but has been delayed. Would it matter if it were delayed indefinitely? A “Yes Minister” programme about a new hospital in North London said it all, perhaps. An enthusiastic NHS official shows the minister round a hospital staffed with 500 administrators. It has the latest technology on the wards. “It’s one of the best run hospitals in the country,” the NHS official tells the minister, adding that it’s up for the Florence Nightingale award for the standards of hygiene. “But it has no patients,” says the minister. “First of all, you have to sort out the smooth running of the hospital. Having patients around would be no help at all.” They would just be in the way, adds Sir Humphrey. In the Wachter’s review’s terms of reference (“Making IT work: harnessing the power of health IT to improve care in England“) there is a final bullet point that refers, obliquely, to a need to consider patients. Could the Wachter terms of reference have been written by a satirist who wanted to show how it was possible to have a review of NHS IT for the benefit of suppliers, clinical administrators and officialdom but not patients? • Provide a set of recommendations drawing on the key challenges, priorities and opportunities for the health and social care system in England. These recommendations will cover both the high levels features of implementations and the best ways in which to engage clinicians in the adoption and use of such systems. • The current capacity and capability of Trusts in understanding and commissioning of health IT systems and workflow/process changes. • The impact and potential of digital systems on clinical workflows and on the relationship between patients and their clinicians and carers. Yes, there’s the mention of “patients” in the final bullet point. Some major IT companies have, for decades, lobbied – often successfully – for much more public investment in NHS technology. Arguably that is not the priority, which is to get existing systems to talk to each other – which would be for the direct benefit of patients whose records do not follow them wherever they are looked at or treated within the NHS. Unless care and treatment is at a single hospital, the chances of medical records following a patient around different sites, even within the same locality, are slim. Typically one patient will have multiple sets of paper records. Within one hospital, different specialities will keep their own notes. Fall over and break your leg and you have a set of orthopaedic notes; have a baby and you will have a totally different set of notes. Those two sets are rarely joined up. As part of wider research into medical records, I asked a hospital consultant in a large city with three major hospitals whether records were shared at least locally. Blood tests have to be repeated, as are x-rays; but despite these sorts of stories of a disjointed NHS, senior health officials, in the countless NHS IT reviews there have been over 30 years, will, it seems, still put the simplest ideas last. It would not cost much – some estimate less than £100m – to provide secure access to existing medical records from wherever they need to be accessed. No need for a massive investment in new technology. No need for a central patient database, or a central health record. Information can stay at its present location. Just bring local information together on local servers and provide secure access. To avoid having patients clog up super-efficient hospitals, Sir Humphrey would have the Wachter review respond to concerns about a lack of joined up care in the NHS by announcing a set of committees and suggesting the Department of Health and NHS England appoint a new set of senior technologists. Which is just what has happened. “The creation of these roles reflects recommendations in the forthcoming review on the future of NHS information systems by Dr Bob Wachter. “Rather than appoint a single chief information and technology officer, consistent with the Wachter review the NHS is appointing a senior medical leader as NHS Chief Clinical Information Officer supported by an experienced health IT professional as NHS Chief Information Officer. “The first NHS Chief Clinical Information Officer will be Professor Keith McNeil, a former transplant specialist who has also held many senior roles in healthcare management around the world, including Chief Executive Officer at Addenbrooke’s Hospital, Cambridge University Hospitals NHS Foundation Trust and Chief Executive Officer at the Royal Brisbane and Women’s Hospital in Australia. “The new NHS Chief Information Officer will be Will Smart, currently Chief Information Officer at the Royal Free London NHS Foundation Trust. Mr Smart has had an extensive career in IT across the NHS and in the private sector. “The NHS CCIO and NHS CIO post-holders will act on behalf of the whole NHS to provide strategic leadership, also chairing the National Information Board, and acting as commissioning ‘client’ for the relevant programmes being delivered by NHS Digital (previously known as the Health and Social Care Information Centre). “The roles will be based at NHS England and will report to Matthew Swindells, National Director: Operations and Information, but the post-holders will also be accountable to NHS Improvement, with responsibility for its technology work with NHS providers. Surely a first step, instead of arranging new appointments and committees, and finding ways of spending money on new technology, would be to put in place data sharing agreements between hospitals? “In primary care, GPs will say the record is theirs. Hospital teams will say it is our information and patient representative groups will say it is about patients and it is their nformation. In maternity services there are patient-held records because it is deemed good practice that mums-to-be should be fully knowledgeable and fully participating in what is happening to them. He added that the Summary Care Record – a central database of every patient’s allergies, medication and any adverse reactions to drugs, was a “waste of time”. Is it the job of civil servants to make the simple sound complicated? Years ago, a health minister invited me for an informal meeting at the House of Commons to show me, in confidence, a one-page civil service briefing paper on why it was not possible to use the internet for making patient information accessible anywhere. The minister was incredulous and wanted my view. The civil service paper said that nobody owned the internet so it couldn’t be used for the transfer of patient records. If something went wrong, nobody could be blamed. That banks around the world use the internet to provide secure access to individual bank accounts was not mentioned in the paper, nor the existence of the CHAPS network which, by July 2011, had processed one quadrillion (£1,000,000,000,000,000) pounds. Did the briefing paper show that the civil service was frightened by the apparent simplicity of sharing patient information on a secure internet connection? If nothing else, the paper showed how health service officials will tend, instinctively, to shun the cheapest solutions. Which may help to explain how the (failed) £10n National Programe for IT came into being in 2002. Nobody will be surprised if the Wachter review team’s report is laden with jargon about “delays between technology being introduced and a corresponding rise in output”. It may talk of how new technology could reduce the length of stay by 0.1528 of a bed day per patient, saving a typical hospital £1.8m annually or 7,648 bed days. It may refer to visions, envisioning fundamental change, establishing best practice as the norm, and a need for adaptive change. Would it not be better if the review team spoke plainly of the need for a patient with a fractured leg not having to carry a CD of his x-ray images to different NHS sites in a carrier bag? Some may await the Wachter report with a weary apprehension that its delay – even indefinitely – will make not a jot of difference. Perhaps Professor Wachter will surprise them. We live in hope. Wachter review terms of reference. What can we learn from the US “hospitalist” model? Crabb’s momentous FOI decision on Universal Credit IT? Some of the DWP legal “bundles” in its protracted and pointless FOI case to try and stop Universal Credit reports being released. Stephen Crabb, the new DWP secretary of state who replaces IDS, has started to make a difference. On 3 April 2016 the Sunday Times reported that Crabb had ordered officials to stop refusing FOI requests and come clean with him and the public about problems on the Universal Credit programme. Five days later (8 April 2016) the DWP released three reports under FOI on the Universal Credit programme: a risk register, an issues register and a Major Projects Authority project assessment review. The DWP fought for years at FOI tribunals and appeal hearings to stop the reports being published. Officials were expected to instigate a further appeal after an FOI tribunal ruled last month that the reports be published. 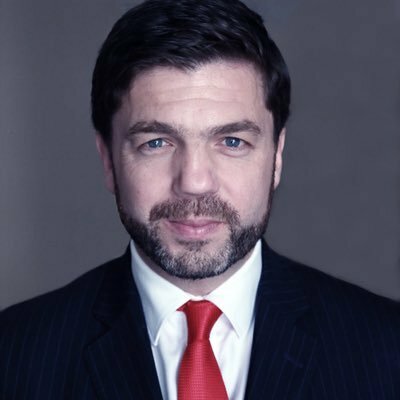 But it now appears that Stephen Crabb refused to sign off further public money for an appeal and officials were left with little choice but to release the reports. The reports show the extent to which the DWP was economical with the truth in its self-praising departmental press releases and ministerial statements on the state of the Universal Credit programme in 2012 and 2013. Indeed, how can we trust any DWP press statement on Universal Credit given that officials are still keeping hidden from Parliament and the public the risk registers, issues registers and project assessment reviews carried out on the UC programme since 2012. Crabb’s appointment and the release of the three reports dated 2011 and 2012 are, from an FOI point of view, a good start. But will the DWP become more open in the future about the state of its big IT-enabled change programmes? Probably not. In a statement to Computer Weekly last week, a DWP spokesperson dismissed the released reports as “nearly five years old and out-of-date” and went on to praise the Universal Credit programme (which involves a waterfall approach and separate much cheaper, and to some extent competing, agile-based project). This statement suggests that the DWP’s “no bad news” culture is still pervasive; that it is prepared to denigrate its own reports as out of date when they convey messages that conflict with officialdom’s good news culture. A mass of DWP paperwork and legal bundles on the FOI appeals and hearings related to the documents show how earnest were the reasons for the DWP’s refusal to release the reports until this month. It is likely that Crabb personally ordered their release. But, probably unknown to Crabb, the DWP has just refused an FOI request to release an Integrated Assurance and Approval Plan (IAAP) on the Universal Credit programme. IT projects professional John Slater had requested the IAAP. He’d also made the original request for the UC risk register and issues register, and had campaigned long and hard for their release. Some people may be surprised by the DWP’s refusal to release the IAAP, given that it is another very old Universal Credit report, dating back to the start of the programme. It may even pre-date the released risk register, issues register and project assessment review. But the IAAP’s release could embarrass the DWP. IAAPs have been mandatory for all major projects since 1 April 2011. They show how well officials have planned a project or programme. The Treasury will not normally approve funding without a satisfactory IAAP. It is likely the DWP made a range of over-optimistic assumptions about the UC roll-out in its IAAP. The DWP’s refusal to release it was under section 36 of FOI legislation. This requires sign off by a minister. In this case it is likely to have been signed off by Lord Freud, the welfare and pensions minister. He was the minister who originally refused the FOI requests for the Universal Credit risk register, issues register, milestone schedule and project assessment review. It is unlikely that Crabb knows anything about Slater’s request for the IAAP. No Whitehall department has yet released contemporaneously – under FOI or outside it – any reports on the performance, progress or otherwise of its big IT-enabled projects or programmes, including Universal Credit. Arguably it is the continued secrecy on the way officials manage big and costly schemes that contributes more than anything else to the poor record of central government when it comes to understanding and implementing IT-related change. “Whilst the information disclosed relates to the UCP as it was back in 2012 it is still important and relevant to the programme today. “The information shows a programme that appears to have been running at breakneck pace and was out of control. “The normal checks and balances that a professional organisation should have had in place, especially cost control, simply weren’t there. Whilst these problems were recognised in the risks and issues there was no sense that the senior leadership team were willing or able to do anything about them. “Having read the information it is not a surprise that the Major Projects Authority had no other option but to stop and restart the programme via the now infamous reset. Well done to Stephen Crabb. He has given the culture of secrecy at the DWP a gentle shake. But can he make a lasting difference? As we saw in “Yes Minister” it is difficult for a new minister – or any minister – to have any permanent influence on officialdom. And it remains the case that neither the DWP nor any other department has ever released contemporaneously reports on its own performance or the progress on a big IT-related change programme. The nearest thing to it is a National Audit Office report, but these are usually retrospective and they are almost always dismissed by departmental press offices and ministers as out of date, whether they are or not. It is abundantly clear that the DWP is pre-occupied – maybe paranoid – about negative media coverage of the Universal Credit programme. The same thing happened at the Department of Health over media coverage of the NPfIT NHS IT programme: officials even issued written instructions to NHS staff on the tone of voice they should use with journalists and others when discussing the programme. Many of the legal reasons the DWP gave to FOI tribunals and appeal judges revolved around the fear of releasing information that could fuel a negative response by the media to the Universal Credit programme. Crabb has won an FOI battle but his officials are winning the pro-secrecy war. For Crabb to make a lasting difference he will need to persuade Lord Freud – and any of his successors – of the virtues of openness. Until officials willingly publish contemporaneous reports on the progress or otherwise of big IT-enabled change programmes, government will probably continue to have a poor record when managing these schemes. Success in government IT requires openness because IT-enabled projects and programmes are about solving problems; and if the problems cannot be admitted let alone discussed widely they are unlikely to be solved,as we saw with the initial problems on the Universal Credit programme. 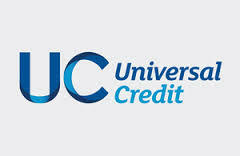 Universal Credit involves many external organisations such as local authorities and housing associations. The DWP could start to embrace media coverage as giving healthy challenge to its decisions – challenges that may help to resolve a range of problems that are inevitable when the benefit system is being simplified. Keeping reports such as the IAAP secret – even after five years – will continue to fuel the internal paranoia against open and constructive debate. After decades of secrecy over the contemporaneous release of project and performance reports it is time for lasting change. Universal Credit shows it’s time to make all major government projects open and transparent – Computer Weekly Editor’s Blog. Another NPfIT IT scandal in the making? Jeremy Hunt may have forgotten what he told the FT 2013, as reported in the paper on 2 June 2o13. Now the Department of Health (and perhaps some large IT suppliers) have encouraged Hunt to find £4bn for spending on technology that is (again) of questionable immediate need. The £4bn, if that’s what it will cost, is much less than the cost of the NPfIT. But are millions to be wasted again? Yesterday (8 February 2016) the Department of Health announced a “review of information technology in the NHS”. Announcing it Hunt said. “Improving the standard of care patients receive even further means embracing technology and moving towards a fully digital and paperless NHS. The NPfIT was supposed to give the NHS up-to-date technology – but is that what’s needed? A more immediate need is for any new millions of central funding (for the cost would be in the tens of millions, not billions) to be spent on the seemingly mundane objective of getting existing systems to talk to each other, so that patients can be treated in different parts of the NHS and have their electronic records go with them. This doesn’t need a new national programme for IT. Some technologists working in the NHS say it would cost no more than £150m, a small sum by NHS IT standards, to allow patient data to reside where it is but be accessed by secure links anywhere, much as secure links work on the web. But the review’s terms of reference make only a passing reference to the need for interoperability. Instead the review will have terms of reference that are arguably vague – just as the objectives for the NPfIT were. The current capacity and capability of Trusts in understanding and commissioning of health IT systems and workflow/process changes. The impact and potential of digital systems on clinical workflows and on the relationship between patients and their clinicians and carers. The head of the review board Professor Wachter will report his recommendations to the secretary of state for health and the National Information Board in June 2016. Perhaps egged on by one or two major suppliers in behind-the-scenes lobbying, Hunt has apparently found billions to spend on improving NHS IT. Nobody doubts that NHS IT needs improving. But nearly all GPs have impressive systems, as do many hospitals. But the systems don’t talk to each other. The missing word from the review board’s terms of reference is interoperability. True, it’s difficult to achieve. And it’s not politically aggrandizing to find money for making existing systems interoperable. But at present you can have a blood test at the GP, then a separate blood test at the local hospital and the full results won’t go on your electronic record because the GP and hospital are on different systems with no interoperability between them. If you’re treated at a specialist hospital for one ailment, and at a different hospital 10 to 20 (or say 100) miles away for something else, it may take weeks for your electronic record to reflect your latest treatment. Separate NHS sites don’t always know what each other is doing to a patient, unless information is faxed or posted between them. The fax is still one of the NHS’s main modes of cross-county communication. The DoH wants to be rid of the fax machine but it’s indispensable to the smooth running of the NHS, largely because new and existing systems don’t talk to each other. The trouble with interoperability – apart from the ugliness of the word – is that it is an unattractive concept to some of the major suppliers, and to DoH executives, because it’s cheap, not leading edge and may involve agreements on data sharing. Last year I broke my ankle in Sussex and went to stay in the West Midlands at a house with a large ground floor and no need to use stairs. There was no communication between my local GP and the NHS in the West Midlands other than by phone, post or fax, and even then only a summary of healthcare information went on my electronic record. I had to carry my x-rays on a CD. Then doctors at my local orthopaedic department in Sussex found it difficult to see the PACS images because the hospital’s PCs didn’t have CD players. A government employee told me this week of a hospital that gave medication to a patient in the hope she would not have an adverse reaction. The hospital did not have access to the patient’s GP records, and the patient was unsure of the name of the medication she’d previously had an allergic reaction to. Much of the feedback I have had from those who have enjoyed NHS services is that their care and treatment has been impeded by their electronic records not moving with them across different NHS sites. That GPs and their local hospital often cannot communicate electronically is a disgrace given the billions various governments have spent on NHS IT. It is on interoperability that any new DoH IT money needs to be spent. Instead, it seems huge sums will be wasted on the pie-in-the-sky objective of a paperless NHS by 2020. The review board document released today refers to the “ambition of a paper- free health and care system by 2020”. What’s the point of a paperless NHS if a kaleidoscope of new or existing systems don’t properly communicate? Congratulations, incidentally, to GP software suppliers TPP and EMIS. They last year announced direct interoperability between their core clinical systems. Their SystmOne and EMIS Web systems hold the primary care medical records for most of the UK population. And this month EMIS announced that it has become the first UK clinical systems provider to implement new open standards for interoperability in the NHS. It says this will enable clinicians using its systems to securely share data with any third party supplier whose systems comply with a published set of open application programme interfaces. The Department of Health and ministers need to stop announcing things that will never happen such as a paperless NHS and instead focus their attention – and any new IT money – on initiatives that are not subconsciously aimed at either political or commercial gain. It would be ideal if they, before announcing any new IT initiative, weighed up diligently whether it is any more important, and any more of a priority, than getting existing systems to talk to each other. What do Ben Bradshaw, Caroline Flint and Andy Burnham have in common? Ben Bradshaw, Caroline Flint and Andy Burnham have in common in their political past something they probably wouldn’t care to draw attention to as they battle for roles in the Labour leadership. 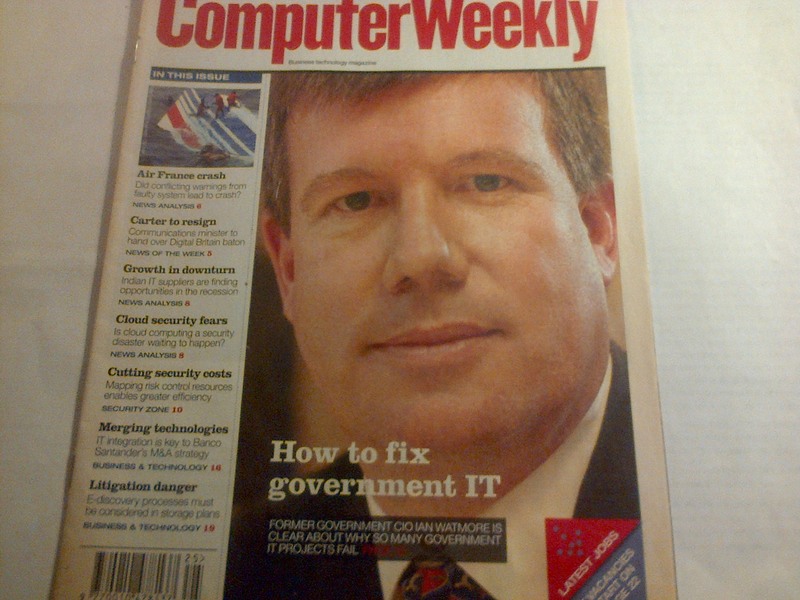 Few people will remember that Bradshaw, Flint and Burnham were advocates – indeed staunch defenders – of what’s arguably the biggest IT-related failure of all time – the £10bn National Programme for IT [NPfIT. Perhaps it’s unfair to mention their support for such a massive failure at the time of the leadership election. A counter argument is that politicians should be held to account at some point for public statements they have made in Parliament in defence of a major project – in this case the largest non-military IT-related programme in the world – that many inside and outside the NHS recognised was fundamentally flawed from its outset in 2003. Bradshaw, Flint and Burnham did concede in their NPfIT-related statements to the House of Commons that the national programme for IT had its flaws, but still they gave it their strong support and continued to attack the programme’s critics. The following are examples of statements made by Bradshaw, Flint and Burnham in the House of Commons in support of the NPfIT, which was later abandoned. “We accept that there have been delays, not only in the roll-out of summary care records, but in the whole NHS IT programme. “The health service is moving from being an organisation with fragmented or incomplete information systems to a position where national systems are integrated, record keeping is digital, patients have unprecedented access to their personal health records and health professionals will have the right information at the right time about the right patient. “Owing to delays in some areas of the programme, far from it being overspent, there is an underspend, which is perhaps unique for a large IT programme. “The contracts that were ably put in place in 2003 mean that committed payments are not made to suppliers until delivery has been accepted 45 days after “go live” by end-users. “He [Andrew Lansley] seems to reject the benefits of a national system across the NHS, but we do not. We believe that there are significant benefits from a national health service having a programme of IT that can link up clinicians across the system. We further believe that it is safer for patients if their records can be accessed across the system…” [which hasn’t happened]. The NHS e-Referral Service which launched nationally on Monday was “unavailable until further notice”, the Health and Social Care Information Centre said at 9.30am today. “Due to issues experienced overnight the NHS e-Referral Service is unavailable until further notice while essential maintenance is performed. If you have local business continuity processes available, we recommend that you consider invoking them,” says the HSCIC on its website. Late yesterday afternoon the Health and Social Care Information Centre warned GPs and other users of its e-Referral Service that technical problems were continuing. The difficulties have aggravated cynicism in the GP community about the ability of centrally-based officials to implement national IT systems. Is it too soon to question whether e-Referrals is the first IT disaster of the new government? There is also the question of whether GPs have been used as guinea pigs to test for problems with the new system. Until the service went down GPs were in any case unable to log in or were experiencing long delays in arranging referrals. Some reverted to sending letters by post – or always did use the post and avoided the NPfIT Choose and Book system which e-Referral is replacing. Fewer than 60% of GPs used Choose and Book to hospital appointments for patients. “The NHS e-Referral Service has been used by patients and professionals today to complete bookings and referrals comparable with the number on a typical Tuesday but we were continuing to see on-going performance and stability issues after yesterday’s fixes. “We suspend access to the system at lunchtime today to implement another fix and this improved performance and stability in the afternoon. “We apologise for the disruption caused to some users and thank everyone for their patience. The Health and Social Care Information Centre said the e-Referral Service was still down. “The NHS e-Referrals Service is now available again. We apologise for the disruption caused to users and thank everyone for their patience. “Yesterday’s outage enabled us to implement a number of improvements and hopefully this is reflected in your user experience today,” said HSCIC’s website. Why was NHS e-Referral Service launched with 9 pages of known problems? A tragic outcome for Cerner Millennium implementation at Bath? Vodafone's apology for poor customer service - a template for Whitehall?